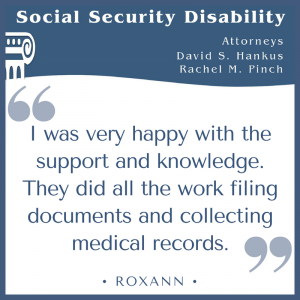 After being denied my Social Security Disability, I was referred to David Hankus by my sister-in-law. I was very happy with the support and knowledge from Attorney Hankus and his staff, Rachel and Kay. 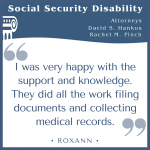 They did all the work filing documents and collecting medical records, etc. I would strongly recommend the Law Offices of David Hankus! Thank you! !